Re: Screen Protectors, What’s your Favorite Type? Screen Protectors, What’s your Favorite Type? Personally, I fell in love with Tempered Glass the first time I used it. I have the Note 8 and use the PLEX® Plus Shield Edge Screen Protector. Tempered glass has saved my screen way more than any other types that I’ve tried. I’d love to hear your opinions on the topic! Are you a Tempered Glass, PET plastic, TPU plastic, or a Multi-layered protector kind of person? Maybe you’ve found a different one that’s worked for you, let us know your thoughts below! 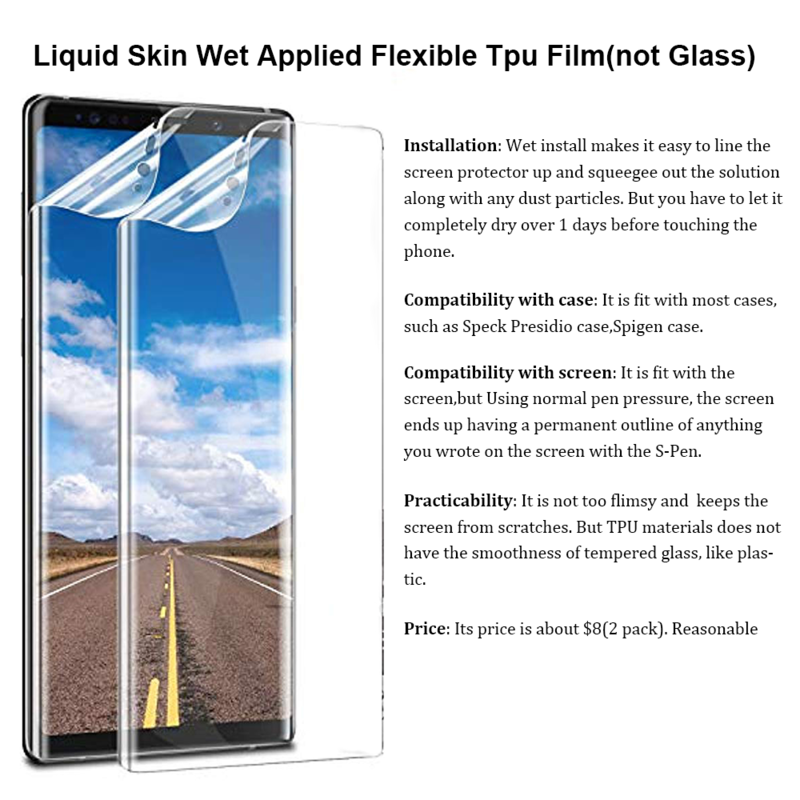 1.LIQUID SKIN WET APPLIED FLEXIBLE TPU FILM (Not Glass) Spigen is known for a commitment to making the best smartphone cases on the market. If you are planning on buying any Spigen case or product, then the NeoFlex coverage films will have a pinpoint fit. I don't like the texture of these plastic screen glass protectors, and the installation process is a bit longer than with a single piece of tempered glass, the installation process is a bit longer than with a single piece of tempered glass,Once on the display, it’s a case of sliding into position and then spudging until all air bubbles disappear. Some might be present, but after a few hours these tend to dry up and disappear. 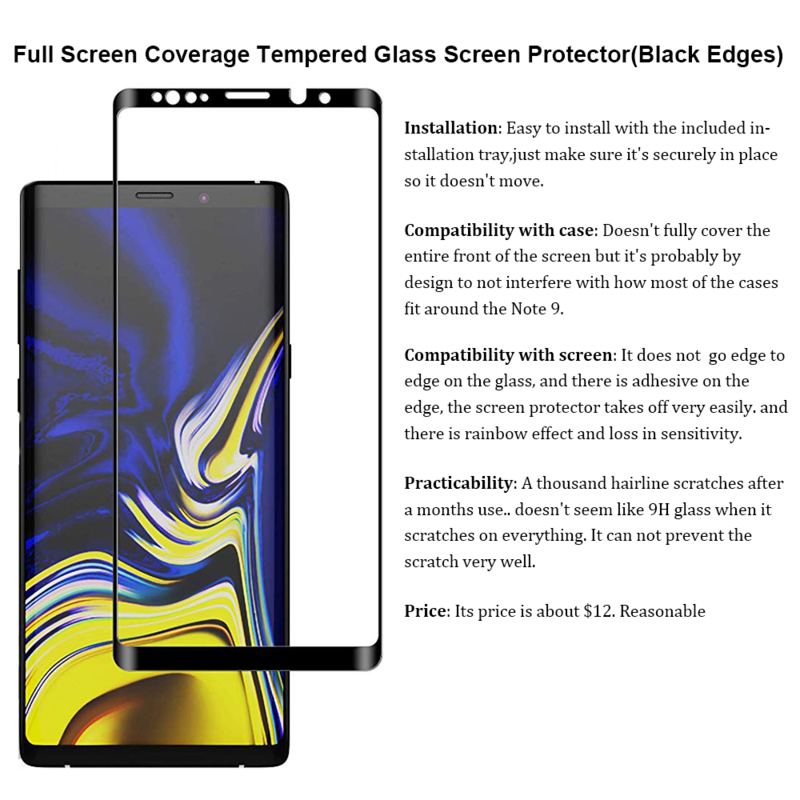 2.FULL SCREEN COVERAGE TEMPERED GLASS SCREEN PROTECTOR(Black Edges,Glass) I know thier screen protector for iPhone is very famous. Many people like it. But I have to say thier screen protector for Samsung series. They are not good as thier iPhone. Of course,the installation is very easy, what's more, they provide a installation tray that can help you.But it impedes the touch sensitivity of the phone. I am unable to click on anything on the edges of the screen. what's worse,the screen protector would not stay on. It lifted off on it's own after 2 days. 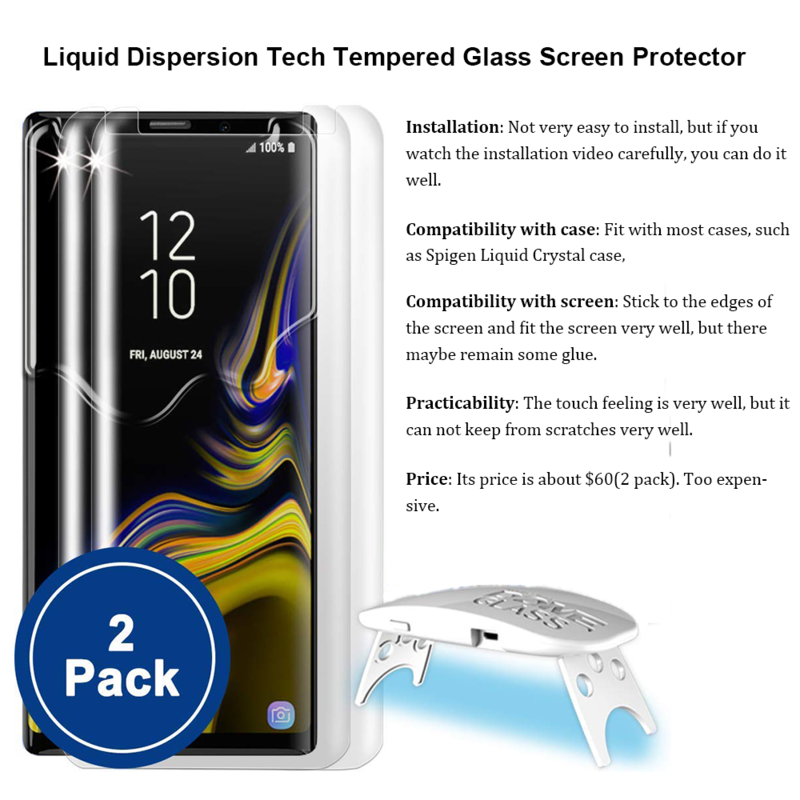 3.LIQUID DISPERSION TECH TEMPERED GLASS SCREEN PROTECTOR The South Korean-made tempered glass screen protectors use a unique UV light adhesive method, which is said to produce better results,But these are arguably the most expensive screen protectors on the market.Approximate $50. 4.FULL ADHESIVE TEMPERED GLASS SCREEN PROTECTOR I had no experience with the brand before but had heard of them, so it seemed pretty daunting to fit. But the instructions and the cradle contraption give you confidence that as long as you follow the included guide, you will get a top-notch fit. Having heard good things about the Heroshield both online and offline, I am glad that I left the brand until last,the Heroshield offers just that bit better protection. Hey there @userownEdl1I8M! 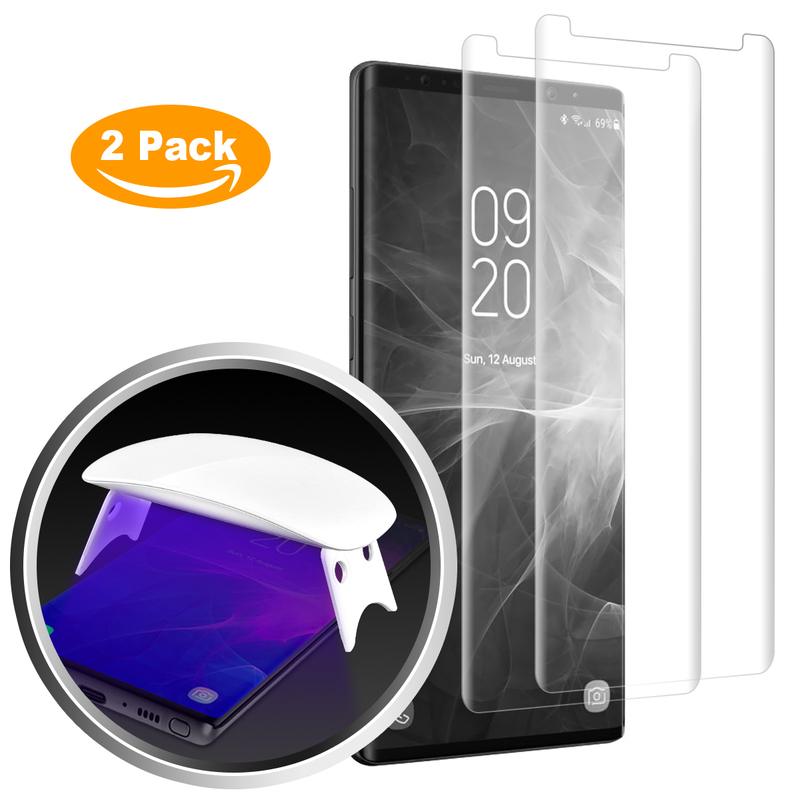 Just wanted to let you know I merged your post with the one our @SamsungJace has made since both are regarding screen protectors and your opinions on them. Thanks for your very insightful post!! Whitestone is my favorite, it retails for $50 but its amazing! It's a $1000 phone. If a good screen protector costs $50, I'll pay it and not gripe because the alternative is an extremely expensive screen replacement. I also think the Whitestone is a great fit for my S9 Note. I only use Supershieldz tempered glass from Amazon. They are about $6 or $7 for a 2-pack and lifetime guaranteed if they do scratch or crack. I have them on all my family's devices.